This past year was an extraordinary one for makers, entrepreneurs, and tech giants who launched awe-inspiring products, updates, and companies. 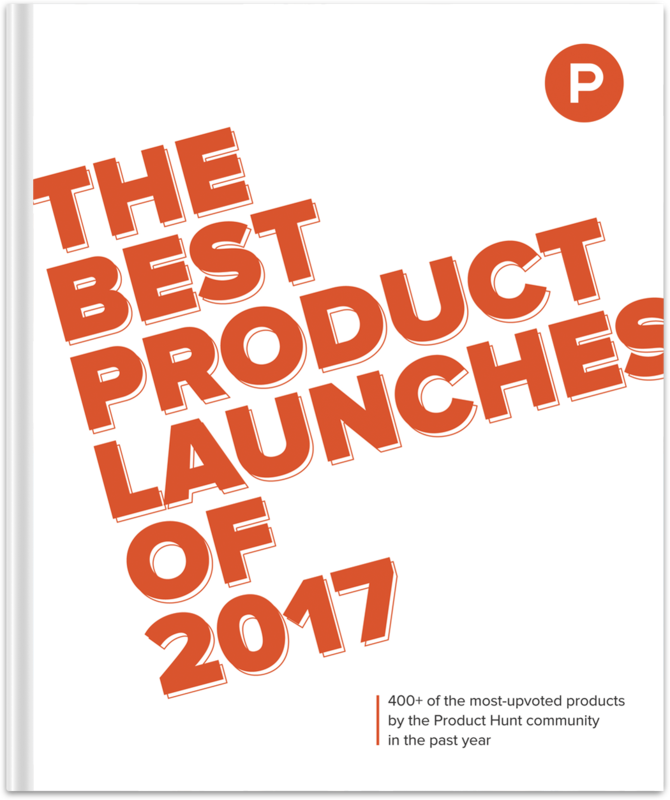 We put together a list of the most-upvoted product launch by the Product Hunt community every day throughout 2017. We also included three honorable mention products each month—they didn’t make the top spot on their respective launch days, but they were big hits on Product Hunt nonetheless. This book is over 170 pages, with featured products, community quotes, and links so you can find your favorite products quickly. At the end of the book, there’s a bonus list of the 2017 Golden Kitty Award winners. Are you ready to launch your own product or startup in 2018? Check out Ship, a toolkit to help makers build awesome products.